ANSI/TIA-942-2005 (лист 1/11). TIER I. TIER II. TIER III. TIER IV. ТЕЛЕКОММУНИКАЦИИ. Общие положения. Кабельная разводка, стойки, шкафы и.
delivered TIA-942 the “Telecommunications Infrastructure Standard for Data ... fiber is recommended (ANSI/TIA-568- 16 B.3-1) or as specified in ISO/IEC. 11801 ;. This document was provided by Siemens A&D SCE (automation and drive .... AWL (German abbreviation for STL) data created during the conversion can be. STANDARD “TIA/EIA-568-B” SP-4425. (B.1). SP-4426. (B.2). May 2001. SP-3894 . (B.3). April 2000. TR-42. “TIA/EIA-568-B” now consists of. TIA/EIA-568-B.1. Jul 22, 2005 - Correspondence to this author (email: [email protected]). 2 World ..... campaigns for the control of vector-borne diseases have the best. PETER JACKSON & HAN REICHGELT ... notion of m-unification; intuitively, two formulas can unify only ... (i) the formulas P and Q unify with unification 8, and. May 15, 2018 - Reader response: Olfaction and incident Parkinson disease in US white and black older .... nuclear infarction. Neurology 2017;89:e180âe181. 1 inch solid steel output shaft accepts all of Tanaka's full-flite earth bits. ... Wrap around anti-vibration handles provide for smooth and comfortable operation. Dec 3, 2010 - Abstract. Data centre energy consumption is expected to increase organisational costs and CO2 emissions. Greening data centres. I IA AS CS2 FA. Page 7. 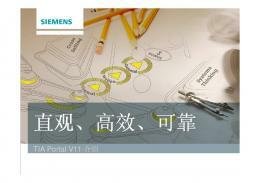 TIA Portal V11 - Introduction. 支持的操作系统. STEP 7 Basic V11, WinCC Basic V11. STEP 7 Prof. V11,. WinCC Adv. V11, WinCC Prof. This paper describes the key elements of the TIA-942 standard, a valuable tool in designing your data centre and maximising your investment. One or More Entrance Rooms This is the location for access provider equipment and demarcation points, as well as the interface with campus cabling systems. The Entrance Room may be located either inside or outside the computer room, the portion of the data centre that houses data processing equipment. The standard recommends locating the entrance room outside of the computer room for better security. When located within the computer room, the Entrance Room should be consolidated with the MDA. It is possible that provider's cabling distances may require multiple Entrance Rooms for larger data centres. One or More Horizontal Distribution Areas (HDA) Similar to a TR, the HDA serves as the distribution point for horizontal cabling and houses cross-connects and active equipment for distributing cable to the equipment distribution area. Like the MDA, the standard specifies installing separate racks for fibre, UTP, and coaxial cable in this location. It also recommends locating switches and patch panels to minimise patch cord lengths and facilitate cable management. The HDA is limited to 2000 connections, and the number of HDAs is dependent on the amount of cabling and overall size of the data centre. Equipment Distribution Area (EDA) Horizontal cables are typically terminated with patch panels in the EDA, the location of equipment cabinets and racks. The standard specifies installing racks and cabinets in an alternating pattern to create "hot" and "cold" aisles, a configuration that effectively dissipates heat from electronics (see Environmental Considerations for a discussion on cooling and hot aisle/cold aisle configuration). Zone Distribution Area (ZDA) The ZDA is an optional interconnection point in the horizontal cabling between the HDA and EDA. The ZDA can act as a consolidation point for reconfiguration flexibility or for housing freestanding equipment like mainframes and servers that cannot accept patch panels. Only one ZDA is allowed within a horizontal cabling run with a maximum of 288 connections. The ZDA cannot contain any cross-connects or active equipment. Similar to an MDF, the MDA is a centrally located area that houses the main cross-connect as well as core routers and switches for LAN and SAN infrastructures. The MDA may include a horizontal cross-connect (HC) for a nearby equipment distribution area. The standard requires at least one MDA and specifies installing separate racks for fibre, UTP, and coaxial cable in this location. Within the data centre, backbone cabling provides connections between MDA, HDAs, and Entrance Rooms while horizontal cabling provides connections between HDAs, ZDA, and EDA. Optional backbone cabling can be installed between HDAs for redundancy. Each functional area must be located in such a way to prevent exceeding maximum cable lengths for both backbone and horizontal cabling. Cabling Infrastructure Building on existing TIA-568 and 569 standards, the TIA-942 standard specifies a generic, permanent telecommunications cabling system and provides specifications for the following recognised cabling media: • Standard singlemode fibre • 62.5 and 50µm multimode fibre • Laser-optimised 50µm multimode fibre (recommended) • 7  5-ohm coaxial cable (recommended for E-1, E-3, and T-3 circuits) • 4  -Pair Category 6 UTP and ScTP cabling (Cat 6* recommended) *NOTE: Augmented Category 6 was not a released standard at the time that TIA-942 was ratified. It is expected that future revisions of TIA-942 will specify Augmented Category 6 as the preferred UTP cable for data centres. TIA-942 recommends the use of laser-optimised 50µm multimode fibre for backbone cabling because of its capability of supporting higher network speeds over longer distances while being more cost-effective to implement than singlemode fibre. cabinets on raised floors in a way that enables easy lifting of tiles. Locating switches and patch panels to reduce the need for patching between cabinets and racks is also recommended. TIA-942 extends the TIA-606-A Administration Standard to data centres, which specifies a labeling scheme for all racks, cabinets, patch panels, patch cords, and cables. Tiered Reliability To provide a means for determining specific data centre needs, the TIA-942 standard includes an informative annex with data centre availability tiers. These tiers are based on information from the Uptime Institute, a consortium dedicated to providing its members with best practices and benchmark comparisons for improving the design and management of data centres. For each of the four tiers, the annex describes detailed architectural, security, electrical, mechanical, and telecommunications recommendations, and the higher the tier, the higher the availability. Tier descriptions include information like raised floor heights, watts per square foot, and points of failure. "Need," or "N," indicates the level of redundant components for each tier with N representing only the necessary system need. Construction cost per square foot is also provided and varies greatly from tier to tier; with Tier 3 costs double that of Tier 1. Tier 3 – Concurrently Maintainable: 99.982% Availability • E nables planned activity without disrupting computer hardware operation, but unplanned events will still cause disruption • M  ultiple power and cooling distribution paths but with only one path active, includes redundant components (N+1) • Takes 15 to 20 months to implement • Annual downtime of 1.6 hours • Includes raised floor and sufficient capacity and distribution to carry load on one path while performing maintenance on the other. Breaking data centre reliability into these tiers provides designers with a method for qualifying certain aspects of the data centre and objectively comparing one data centre to another. Several environmental considerations exist within the TIA-942 data centre standard that are similar to the equipment room requirements set forth in previous TIA standards. These considerations include, but are not limited to, fire suppression, humidity levels, operating temperatures, architectural, electrical (power) and mechanical system specifications. Some of the requirements are dependent on the desired reliability tier described above. Most significantly, the standard incorporates specifications for encouraging airflow and reducing the amount of heat generated by concentrated equipment. The standard recommends the use of adequate cooling equipment as well as a raised-floor system for more flexible cooling. Additionally, the standard states that cabinets and racks should be arranged in an alternating pattern to create "hot" and "cold" aisles. In the cold aisle, equipment racks are arranged face to face. In the hot aisle, they are arranged back to back. Perforated tiles in the raised floor of the cold aisles allow cold air to be drawn into the face of the equipment. This cold air washes over the equipment and is expelled out the back into the hot aisle. In the hot aisle, there are no perforated tiles, which keeps the hot air from mingling with the cold (see Figure 2). Estimating power needs involves determining the power required for all existing devices and for devices anticipated in the future. Power requirements must also be estimated for all support equipment such as UPS, generators, conditioning electronics, HVAC, lighting, etc. The power estimation must be made to accommodate required redundancy and future growth. Determining power requirements is based on the desired reliability tier and may include two or more power feeds from the utility, UPS, multiple circuits to systems and equipment, and on-site generators. Determining power requirements requires careful upfront planning. When it comes to building a reliable data centre and maximising your investment, the design must be considered early in the building development process and include coordinated efforts that cut across several areas of expertise including telecommunications, power, architectural, and HVAC. Each of the components of the data centre and its supporting systems must be planned, designed, and implemented to work together to ensure reliable access of data centre resources while supporting future requirements. Neglecting any aspect of the design can render the data centre vulnerable to cost failures, early obsolescence, and intolerable availability. There is no substitute for careful planning and following the guidelines set forth in the TIA-942 Telecommunications Infrastructure Standards for Data Centres. 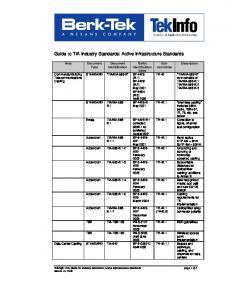 Report "TIA 942 Standards for Data Centres"